Winter is finally here! I was so excited to finally see some significant snow in the Northern Virginia forecast. And even more excited that Carolyn and Josh wanted to do a snowy photo shoot with their dog, Hiro! 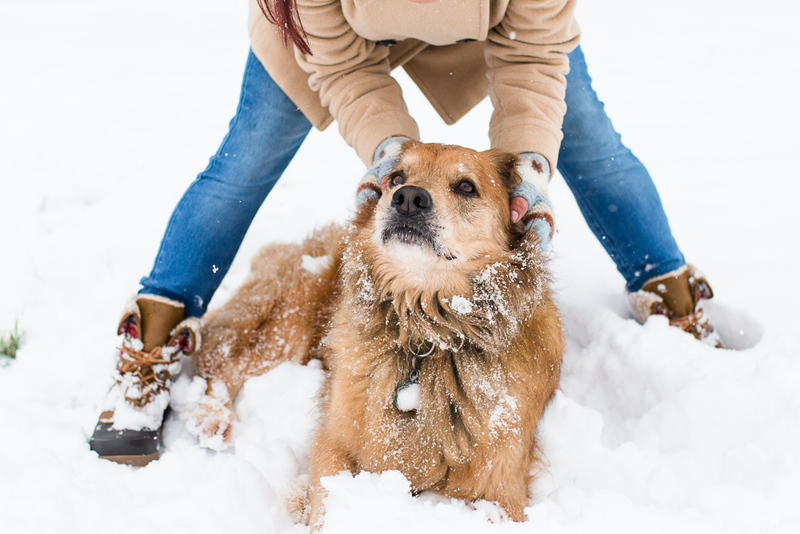 Hiro is a golden retriever mix, and although he’s a senior dog, he acts like a total puppy when there’s snow around. Running everywhere, rolling in the snow, and catching snowballs! 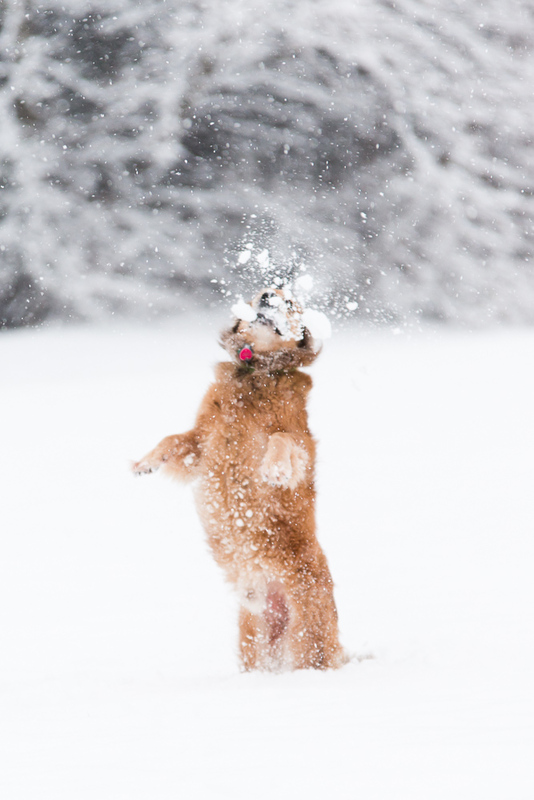 One of my favorite kinds of photos to capture of dogs is when they’re shaking off! Usually it’s water, but snow works great too.